SteelSeries is a quite popular manufacturer that has been producing high-quality accessories for gamers. Their accessories like keyboard and mouse have gained some successes and they are trying to expand the market further. 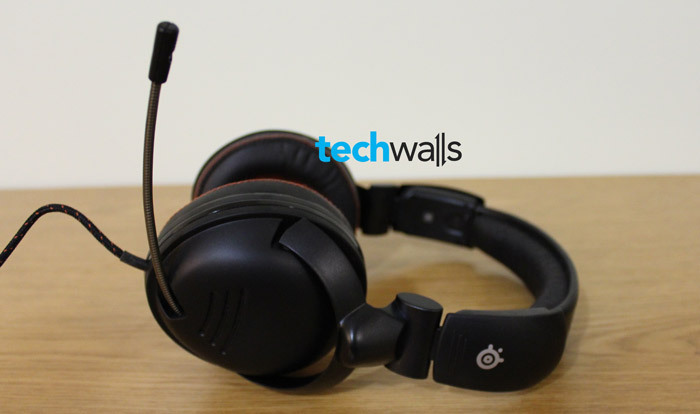 In the last year, SteelSeries has introduced more gaming headset with affordable price for everyone. 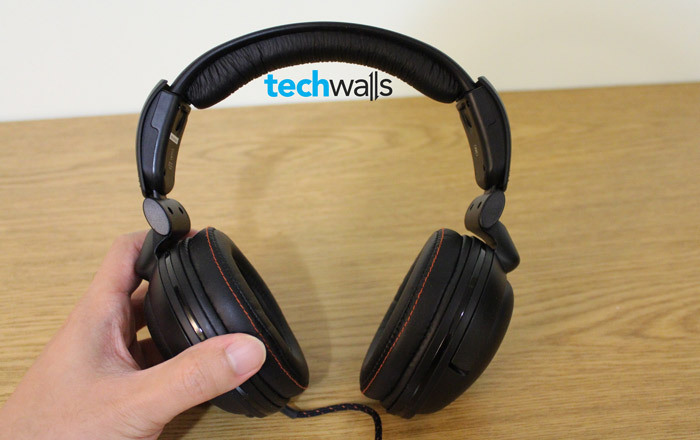 Today, we get the chance to try the SteelSeries 5Hv3, the newest headphone in the collection. The product is provided by SteelSeries but the review is 100% my opinion after trying the headphone in the last 3 days. The 5Hv3 is the next generation of the 5Hv2 and I see the design looks much better. It has extra padded leather design on top and the two earcups that fit perfectly on my head. 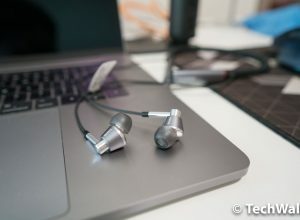 Although the headphone is made mostly from plastic, I found it amazingly lightweight and it is very comfortable to wear even in a long period of time. Check out my unboxing video. There is a retractable microphone on the left earcup and this is very convenient for gamers who need to use in-game voice chat. 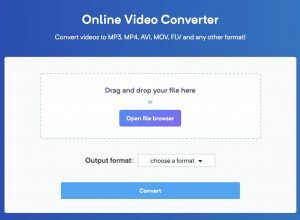 It is also very useful for me when I make video calling on Google Hangout and Skype. There are easy control on the cord and I can mute the mic or adjust volume anytime. Then you can hide the microphone and the headphone looks tidy again. 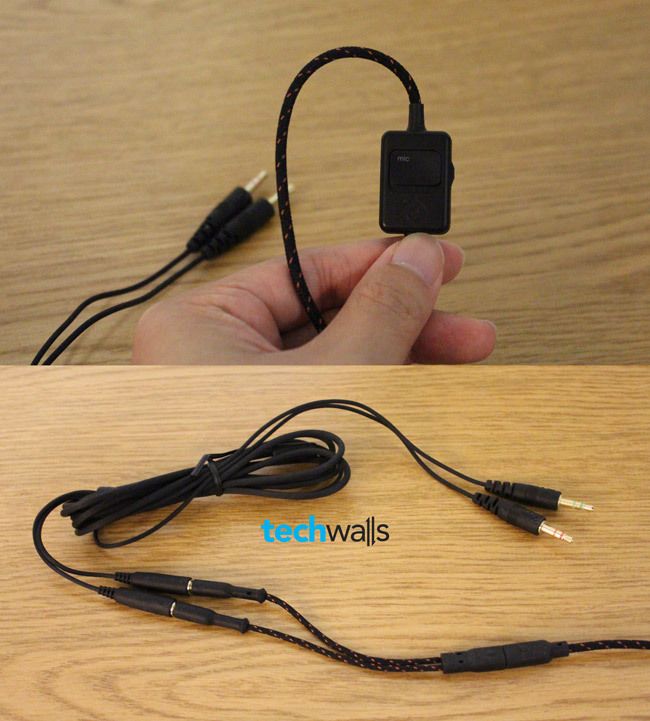 By default, the 5Hv3 comes with two 3.5mm jacks for microphone and headphone itself. SteelSeries provides some more connectors for different purposes. For example, you can use a PC cable to extend the cord and use headphone in longer distance (up to 10.5 ft), or you can use a mobile end when you use headphone on mobile devices and don’t need the microphone. The frequency response of the SteelSeries is claimed to be 16 – 28,000 Hz. Overall, the audio sounds good with very crisp treble and there is no distortion at all. When I use the headphone to listen to news, play games or voice chat, I feel so comfortable because it produced detailed and clear sound. Unfortunately, it also has some drawbacks. The bass is quite weak even when compared to my semi-open headphone. I really didn’t expect this because I assume the closed-back design should bring a stronger bass in its housing. Therefore, I wouldn’t recommend you to use this headphone to listen to music. You will be disappointed. The reproduced lows are quite terrible in my opinion. Probably that’s why the headset is designed for gamers, you won’t get headache because of heavy bass during hours of usage. Comfortable to wear in long time. Good for gaming and voice calling. 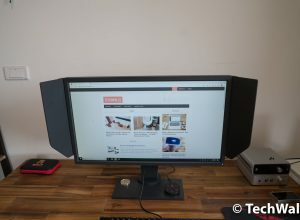 Similar design to Alienware TactX. Material looks like cheap plastic. Weak bass, not ideal for listening to music. The SteelSeries headset is currently available on its official website or Amazon for around $80. Check it out if you are interested. A good headphone for gamers but don't use it for music. I had a pair of the SteelSeries 3H VR headphones for about 3 months before they crapped out on me. Not too bad for the price (about $30). Do you think your 5Hv3’s will hold up for a good while, or are the components kind of cheap feeling? 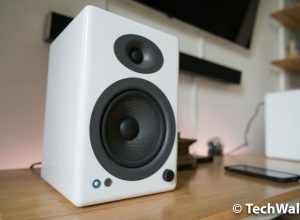 I’d really like to see SteelSeries put out a high-end pair (apart from the V2s). I guess they know their market is inexpensive to mid-priced headphones and they don’t want to compete with Sennheiser, Turtle Beach, etc. Well, you get what you pay for! I’m not sure about the 5Hv3 as the plastic looks quite cheap in my opinion. It is still working well but I’m not sure what will happen when I drop it. I’ve just reviewed the Siberia V2 and it is much better. It is almost at the same price as this 5Hv3.